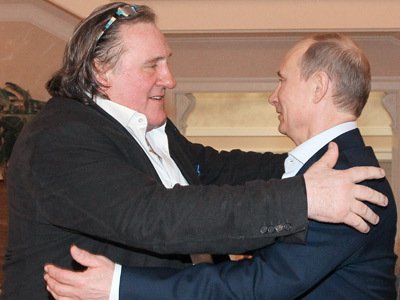 Gerard Depardieu has met with President Vladimir Putin – and received his new Russian passport. In a quick move, a regional authority offered the French actor the post of Minister of Culture. On Sunday, Depardieu visited the Russian city of Sochi and held a brief meeting with Putin, presidential spokesperson Dmitry Peskov said. During the meeting, Putin and Depardieu discussed the upcoming Russian release of the actor's film about Grigory Rasputin. President Putin signed a decree granting the French actor Russian citizenship back on Thursday. The passport was handed over to the 64-year-old millionaire and bon vivant before he met the president. Depardieu expressed his thanks to his new compatriots in letter published in the media, in which he praised the cultural, social and political virtues of his new home and vowed to learn Russian. In his letter the actor called Russia a “country with a great democracy”, which triggered a wave of criticism and irony from users on Russian social networks. After the flying visit to Sochi, Depardieu headed to Saransk, a city in the central Russian republic of Mordovia. There, his thrilled fans from the public and officials offered the actor the post of Minister of Culture for Mordovia, suggested buying a flat in the city and presented him with two kittens. Depardieu turned down the job offer saying he is “the Minister of Culture for the world”, his friend Nikolay Borodachev told the Russian News Service. French politicians mocked Depardieu’s plans as an unbelievably “foolish thing”slamming him for trying toavoid paying high taxes. The actor made headlines across the world when he announced in late December that “Putin has already sent me a passport!” The statement turned out to be just a joke, but did not influence Putin’s decision. The next day the President told the media that the French bon vivant, with whom he has long had “kind, friendly, personal relations”, would be welcome in Russia. The actor decided to renounce his French citizenship over “insulting” accusations of tax evasion from Prime Minister Jean-Marc Ayrault after announcing his plans to move to Belgium. 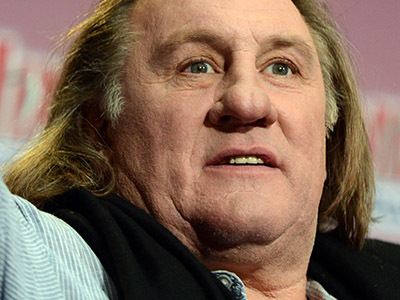 The Prime Minster called Depardieu`s decision to leave France "pathetic". Depardieu initially considered three countries to move to: Belgium, where he had just bought a house, Montenegro, where he has friends and some businesses, and Russia. However, after news the Kremlin was considering granting citizenship, the Belgian commission of naturalization warned that if the French actor became Russian, they would consider his request for naturalization “differently”. The commission said though that no official request had been received from the actor. Russia does offer a highly competitive tax rate, underpinning the attractions of citizenship. Depardieu, who earns millions of euros starring in films and from his businesses, would have to pay up to 75 per cent income tax in his home country, while in Russia the flat-rate tax is just 13 per cent. Meanwhile, another French movie legend, 78-year old Brigitte Bardot said she would follow in Depardieu's footsteps and apply for Russian citizenship if French authorities euthanize a pair of sick elephants, Baby and Népal. The actress said she does not want to live in the country that “has become nothing, but a pet cemetery."